For 33 years, Scott Electronics in Salem, N.H., has provided cables, harnesses, panel assemblies and control boxes for a wide range of customers in the medical, homeland security and industrial markets. With a majority of its customers based in New England, Scott Electronics has enjoyed consistent business growth tied to the rise of technological and medical development in the region. To accommodate the growth, Scott Electronics moved last fall to a larger facility in Salem, where its customers, suppliers and vendors are welcome to tour and participate in an open house celebration in February. The company, which provides electronics manufacturing services, works with customers ranging from startups to billion-dollar corporations. Director of Quality, Scott Metzemaekers, says robotics is a growing market segment for the company. “We’ve had a number of opportunities in the robotics market with various applications in warehouse distribution including assistance in product mobility and also helping to integrate robotics in equipment development,” he said. David Metzemaekers noted the company’s flexibility enables it to provide solutions for a variety of industries. Whether at gate check or while being hand swabbed by the TSA, checking for restricted substances, you’ve likely come into contact with equipment produced by a customer of Scott Electronics. The contract manufacturer also produces assemblies for bomb detecting equipment manufacturers, customers producing blood analyzing equipment as well as customers producing high tech clothing cutters that allow U.S. manufacturers to compete in the clothing industry. “Equipment technology helps drives the success of our quality system” said Scott Metzemaekers “We supply products to customers producing technology for weigh stations in the Midwest. When grain is taken from the trucks to the trains, those trucks have to be weighed — that's how we pay for what's purchased. So our products, our assemblies go into that product as well." To weather the outsourcing of manufacturing to China, in 2001, the company opened a manufacturing plant in Mexico, which the Metzemaekers said helps the company retain jobs and growth in New Hampshire. 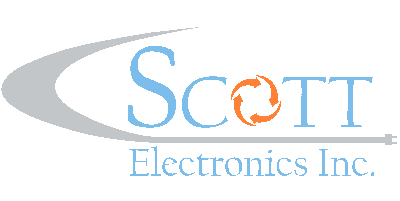 Scott Electronics currently employs 160 people in Salem, and is currently hiring for assembly, quality control and engineering positions. “We’re hoping that things over the next few months are clarified a little bit better. Long term, if these tariffs don’t go away or aren’t significantly reduced, there could be some market shift. But everybody’s taking it on and there are tariff drawbacks, so a lot of our customers are able to get credit for their tariffs, depending on where it goes,” said Metzemaekers.